POLICE ARE APPEALING for information after four masked men burst into the home of an elderly man. This happened in the Drumreagh Road area of Ballygowan in Co Down. 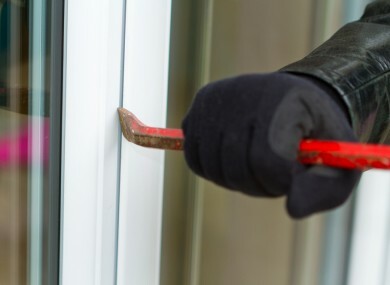 At around 9.15pm yesterday evening the intruders burst into the home of the man, who is in his 80s, and grabbed a sum of money before taking off. It is believed that the men were armed – although at current police are unsure what type of weapon this was. The men were seen leaving the scene in a vehicle, although make and registration are still unclear. They were thought to be heading in the direction of Kilcairn Road. Thankfully, house’s occupier was not injured – and police want anyone who might have seen anything to come forward to them. Speaking about the incident, PSNI Detective Sergeant Reid, said, “I would ask anyone with any information about this incident to contact detectives at Bangor Police Station on the non-emergency number of 101. Alternatively, individuals can anonymously contact Crimestoppers on 0800 555 111. Email “Four armed and masked men break into home of man in his 80s”. Feedback on “Four armed and masked men break into home of man in his 80s”.